With the help of a Misencil eyelash technician, you will select the application style you desire. Then, while you are lying down, your Misencil technician will apply anti-wrinkle patches to protect your lower lashes and upper eyelids. The active ingredients in these patches will not only give you million dollar eyes, but will also allow for safe application. Your features will be smoothed and rested and the area around your eyes will look more luminous! Your technician will then apply the eyelash extensions one by one to your natural eyelashes, without touching your skin. What will my eeylash extensions look like once applied? Misencil eyelash extensions come in several looks, from the most natural to the most sophisticated and dramatic. Your technician will advise you on the eyelash extensions best suited to you, based on the look you’re going for and your natural lashes. Are the extensions comfortable? Will I feel them on my lashes? Since Misencil eyelash extensions are ultra-light and flexible, you will feel no discomfort during or after application … but you just might feel a boost of confidence and femininity! Yes, completely. Neither the adhesive nor the eyelash extensions will come into contact with your skin (each eyelash extension is applied 1 mm from the eyelid) or eyes. Your Misencil technician will carefully apply patches to protect your lower lashes and upper eyelids. For more information on the safety of the Misencil technique, go to the Technique and Safety page. The entire process takes between 1 and 2 hours, depending on the application type. Each subsequent touch-up session will take about 30 minutes. The results, however, are immediate and spectacular! How long will me Misencil eyelash extensions last? As long as you want! Since natural eyelashes have a growth cycle of about 60 days, new lashes are constantly growing in. Touch-up sessions are recommended about every 4 to 6 weeks in order to maintain a nice lash thickness, meaning that you’ll look glamorous for as long as you want! Absolutely not! The professional and ultra-safe Misencil technique will not damage your natural eyelashes because the eyelash extensions are applied to one lash at a time without touching your skin, using an adhesive formulated in a laboratory specifically for eyelash extensions. I've already had eyelash extensions with another method and they fell out quickly. Why? Training Quality: Training is the key to successful eyelash extension application. All our technicians must demonstrate their competence in order to be certified and are given hygiene and safety training. Plus, Misencil constantly encourages technicians to take continuing education. Adhesive Quality: Misencil adhesives are formulated in a laboratory specifically for eyelash extensions. The same type of adhesive is used in eye surgery. Lash Quality: Misencil lashes are the outcome of extensive research and the results are stunning: the individually applied lashes stay in place and remain as soft and curved as on the very first day. Product Quality: Misencil is the only brand that has won awards in several countries and that is recognized in the cosmetics industry for its full line of products designed specifically for eyelashes and eyelash extensions. Why do other brands refer to semi-permanent lashes while Misencil refers to permanent lashes? Eyelashes, like hair, grow and then fall out. You lose an average of 10 to 15 eyelashes every month. “Semi-permanent” eyelash extensions fall out before natural lashes do, while “permanent” eyelash extensions stay perfectly in place over the entire lifespan of natural lashes (60 days on average). Will I need to change my beauty routine? Misencil eyelash extensions require little care and can be easily incorporated into your beauty routine. It’s essential to use Misencil’s face and eye make-up remover because it is specially formulated for your eyelashes and eyelash extensions. Apply Misencil Revitalizer and Protector every day to extend the life of your eyelash extensions. Do not use oil-based products or waterproof mascara to avoid dissolving the adhesive used during application. Misencil offers a wide range of beauty products for your make-up, skin, eyelashes and lash extensions. To learn more, go to the Care Instructions page. Of course! Many clients love their Misencil lash extensions because they don’t need to wear mascara every day, while others love that they can add drama to their lash extensions or style them differently for a special occasion, for example. It’s possible, with Misencil mascaras that will not damage your eyelash extensions and that can easily be removed with Misencil face and eye make-up remover. The enhancement of the eyelashes (lash lift) is to curl the natural eyelashes semi-permanently. How much does the Misenlift eyelash enhancement service cost? Without dyeing, it is suggested the charge between $ 70 and $ 95, with dyeing, from $ 85 to $ 120. How long does a lash enhancement last? It all depends on the length, health and life cycle of your natural lashes. The enhancement can last between 6 to 8 weeks. Is a lash enhancement compatible with lash extensions? Yes, but it is necessary to wait a minimum of 48 hours following the enhancement treatment. Can we apply mascara after an eyelash enhancement? Yes, but it is important to wait 48 hours after the application before putting on mascara. The mascara must be oil-free, as well as the make-up remover to remove the make-up. 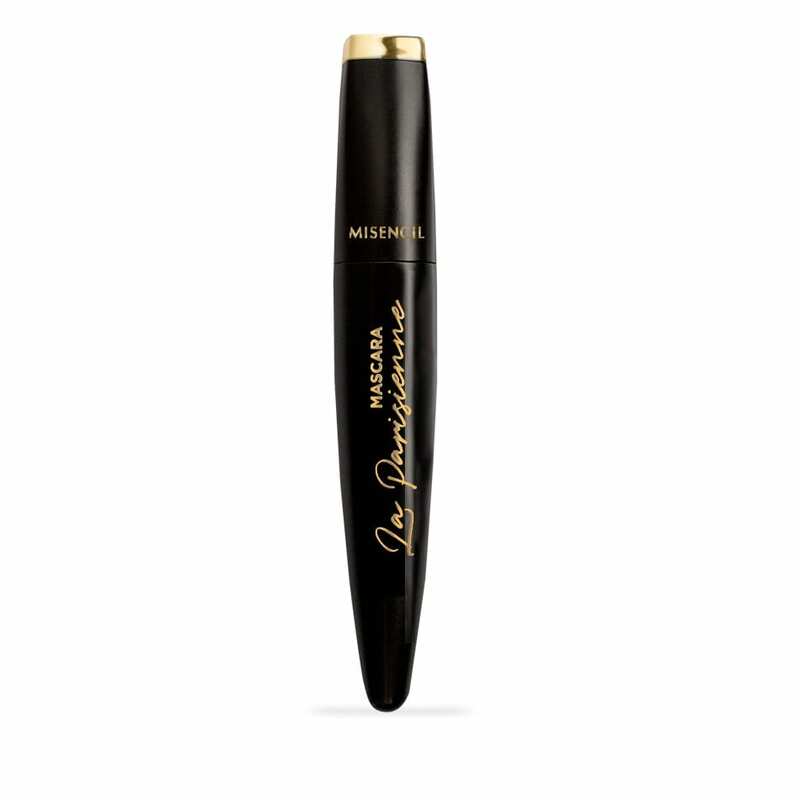 The mascara effect will be more pronounced thanks to the enhancement that will have created a beautiful curved base. Avoid especially water repellent mascara which is more resilient and may weaken the effects of enhancement. Is it imperative to also dye eyelashes? No, let your client decide if she wants one or not. But knowing that this will intensify your results, you can at least propose it. Eyelash tinting is recommended for clients with pale lashes. Is Misenlift damaging for my natural lashes? This is not a technique that is harmful to the eyelashes when done well. We must also respect the maintenance recommendations. How to be prepared for appointments? Arrive without any makeup and preferably 15 min before the time of your appointment in order to have the time to complete the consultation form. If you wear contact lenses, it will be necessary to remove them for the time of the treatment. Does lash enhancement make the same effect as eyelash extensions? Eyelash enhancement and eyelash extensions are two different procedures with different results. The enhancement of eyelashes will not add additional lashes to your eyes. It simply curls your natural lashes. This creates the illusion of having more lashes and that these are longer, since it is possible to see more of the lashes itself. The effect is comparable to a thin layer of mascara. What is the maintenance required for lash enhancement? 48 hours after the application, you will be able to proceed with your beauty routine as usual. That beeing said, using the Misencil retail line will garanty the perfect maintenance of your investment. (Misencil Remover and / or Misencil Eyelash Shampoo). The Misencil Keratin and Panthenol range is the perfect complement to eyelash enhancement. It promotes eyelash strength and growth . The enhancement of eyelashes is not at all painful. On the contrary, it is a real moment of relaxation for the client. Is enhancement forbidden for sensitive clients? As for allergic reactions to the lotion, very few clients will be sensitive to them. This does not mean that there is no risk of allergy, but the risks will be lower compared to eyelash extensions. A test directly on the skin of the coloration is possible for those having a reactive tendency to the hair coloring. I use Serum + to grow my eyelashes. Can I still get an eyelash enhancement? Absolutely! The effects will be even more spectacular on lashes that are healthy, long and full. Since lashes will be growing faster, expect to have to come sooner for your next appointment. Avoid applying serum within 48 hours after enhancement. I have eyelashes growing downwards, is the eyelash enhancement suitable? Of course! Yes the effect will be even more appreciated by your customers. How often can the eyelash enhancement treatment be done? The enhancement of eyelashes will naturally fall with your natural lashes after 6 to 8 weeks. The new ones will have their natural curvature and natural color. It is possible to repeat the treatment every 6 weeks or wait for all the eyelashes to return to their natural curve before repeating. Is eyelash enhancement suitable for a client with very short eyelashes? Yes. On the other hand, the shorter the eyelashes, the less dramatic the effect, but there will always be a difference and this can be further amplified by the application of mascara. Is blepharoplasty (eyelid surgery) a contraindication to lash enhancement? Your client must wait at least 1 year. Clients who have had a blepharoplasty are much more sensitive in the eye area. The healing process must be complete before even thinking about have a enhancement. Consult your doctor for medical advice. Is laser eye surgery a contraindication to lash enhancement? No, but you have to wait 6 months after the surgery. Consult your doctor for medical advice. Am I obliged to take the Misenlift eyelash enhancement course to have access to the application products? No, you only need a valid certification from a reputed academy or school. Proof of certification will be asked. Do I need to send pictures to get my certification for Misenlift eyelash enhancement? No, following your Misenlift training in one of our facilities you will get certified in Misenlift eyelash enhancement. On the other hand, for online training, it is necessary to complete your 3 models and send the pictures to the training department for validation and certification approuval. Can I start my business once I am certified from my Misenlift eyelash enhancement training? At the end of your training, you will have gotten the necessary notions and confidence to start offering the service immediately after.